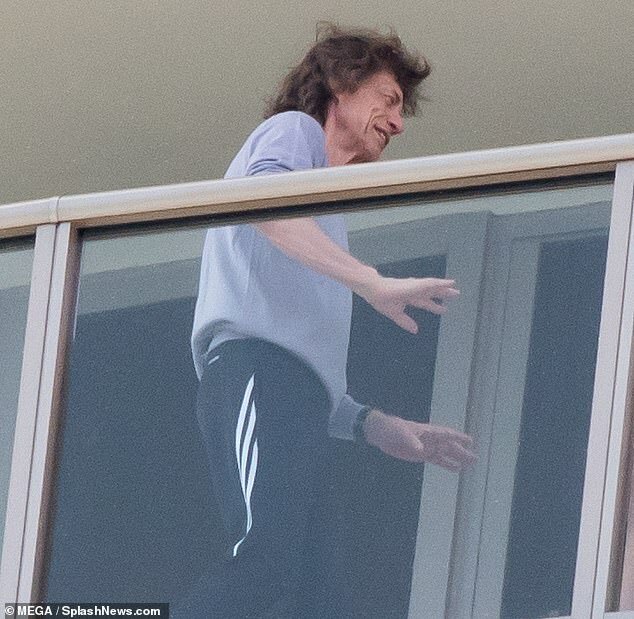 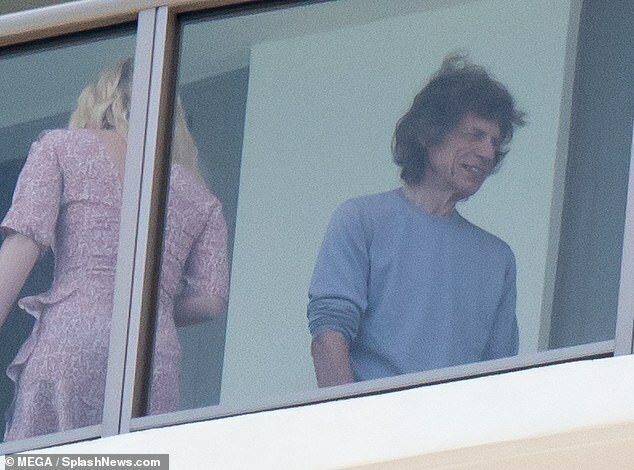 Mick Jagger has been spotted flashing a smile in Miami just one day after the Rolling Stones were forced to postpone their latest tour following his mystery health concerns. 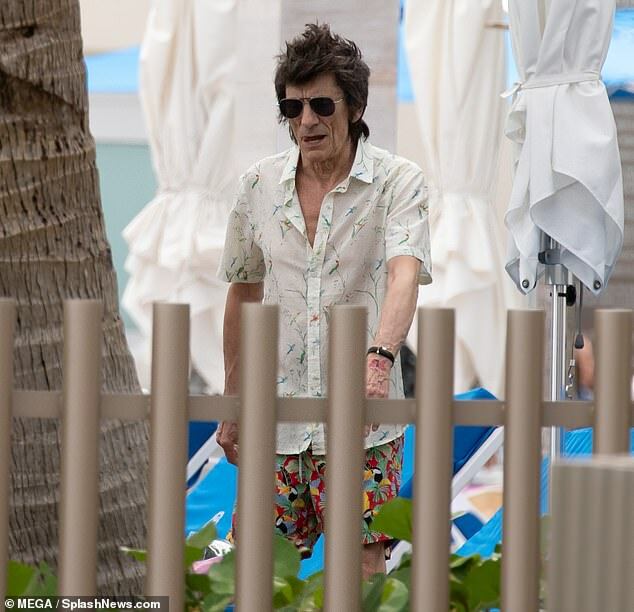 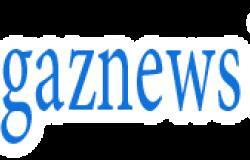 The 75-year-old was joined by his bandmates on Sunday on the balcony of an oceanfront hotel in Miami Beach where he is recuperating following the news of his illness. 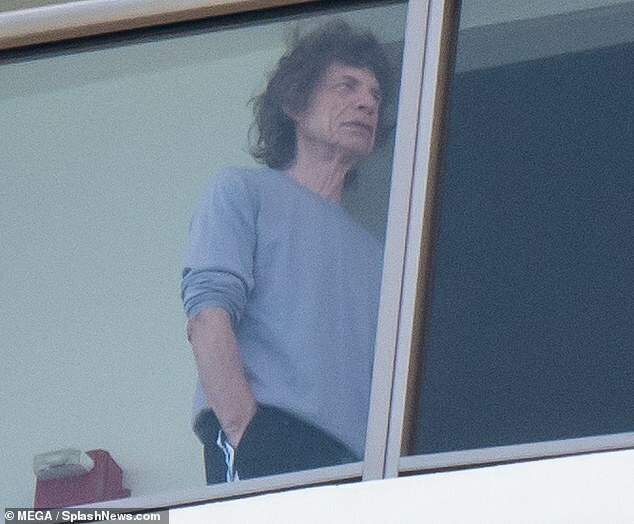 Jagger and the band revealed a day earlier that doctors had advised him not to go on the tour, which was due to start on April 20 in Miami.